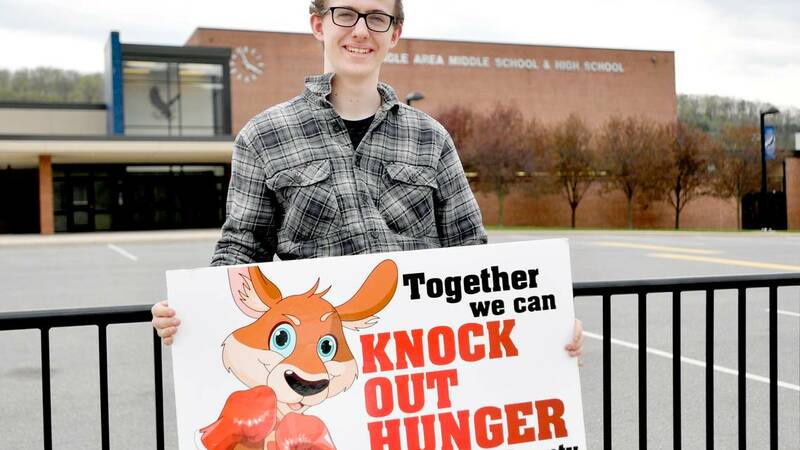 Pennsylvania high school student Mason Finocchio, has been trying to put more food in bellies since the fall of 2015, when he took on a hunger challenge delivered to his school through the National Future Farmers of America (FFA) Organization. He launched his “Knock out Hunger” initiative with the goal to raise $5,000 in donations for local pantries and backpack programs. By the time Finocchio graduates this summer, he’ll have generated close to $15,000.